Growing your own vegetables at home can be an extremely rewarding achievement. Instead of heading down to your local supermarket or green grocer to pick up the accompanying vegetables, you get to hand pick your own nutrition. However, if you don’t consider yourself much of a green thumb, then perhaps you need a little help. If so, consider this guide to farming potatoes at home. 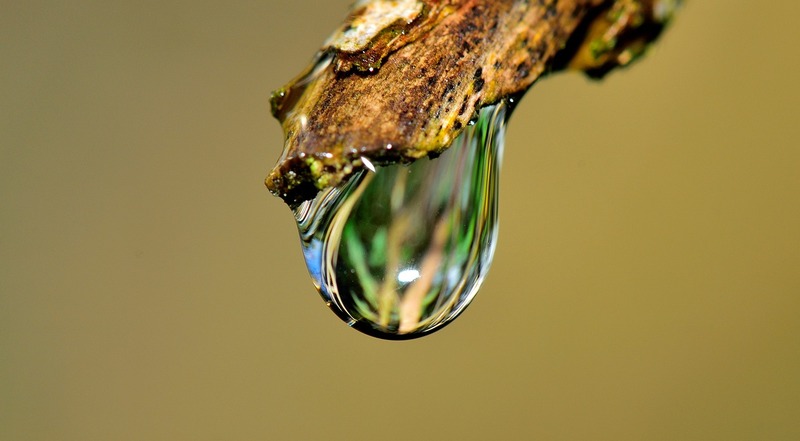 In more ways than one, water is the greatest form of food for so many living organisms. Vegetables are no different. When setting up your veggie patch at home to grow potatoes, you need to make sure you have the right irrigation﻿﻿﻿ ﻿﻿﻿﻿supplies. Potatoes require regular watering from planting to emergence and right through to blossom. Setting up your garden with an irrigation system is the best way to avoid those “oh no” moments when you realize you forgot to water the garden. It will also help when you have planned periods away from home. You can install timed systems to help ensure you don’t waste water or risk evaporation in the hotter parts of the day. Whichever system you decide on, it is important to remember that without water, you’ll grow a whole lot of nothing. Where you choose to plant your future potatoes can be as important as any other step in the growing and harvesting process. Potatoes thrive in yard positions where they receive sunlight but aren’t directly in the harshest area of the yard. Partial shade at times through the day will aid in the growing process. In addition to the sunlight your potatoes receive, ensure the position you choose isn’t liable to flooding or water pooling. You need an area of the yard with good drainage with soil that can remain moist. Making the best choice for your potatoes and not yourself will ensure a higher chance of success, even if you have to put in the back corner of the yard. It is a pretty simple concept; without soil, you can’t grow anything. However, finding and using the right soil is more important than just going with any old potting mix. 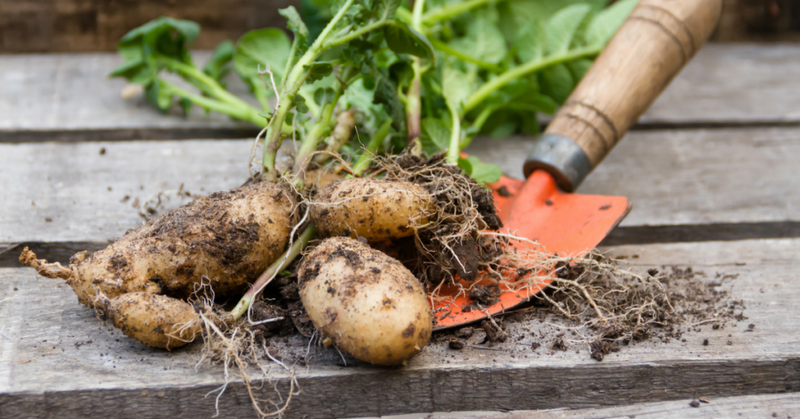 Potatoes thrive in slightly acidic soil, which for some may not make much sense. For the amateur green thumb, when purchasing soil look for the pH level in the soil as an indicator. You want soil with a pH level between 6.0-6.8. If it has a sandy loam, then that is even better. Once you have followed the guide above for preparation, you might think the job is done. But planting is as much of an art form as the preparation. 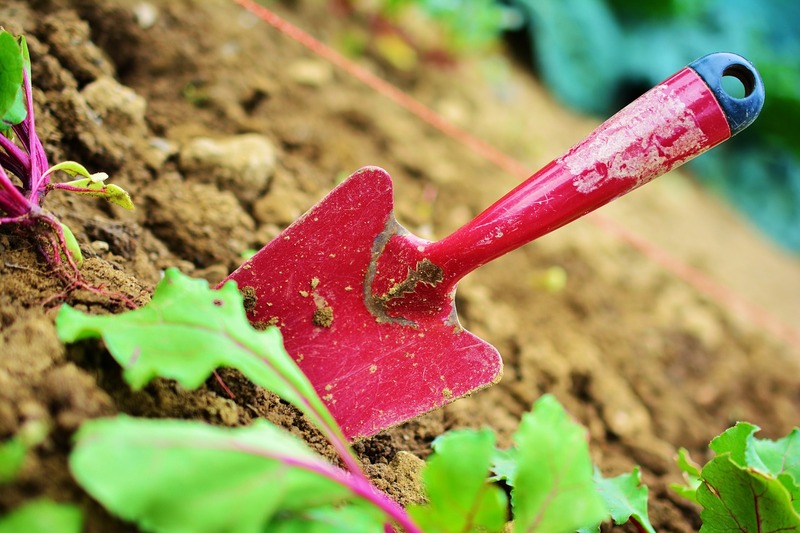 When preparing the soil for planting, you want to dig a trench 8-10 inches deep. Then for best results, it is advisable to add a layer of compost or fertilizer to help stimulate the growth of your future potatoes. Then comes the fun part, planting the actual seeds. Use 3-4 seeds per trench until you have either planted all your seeds or run out of room in your patch. 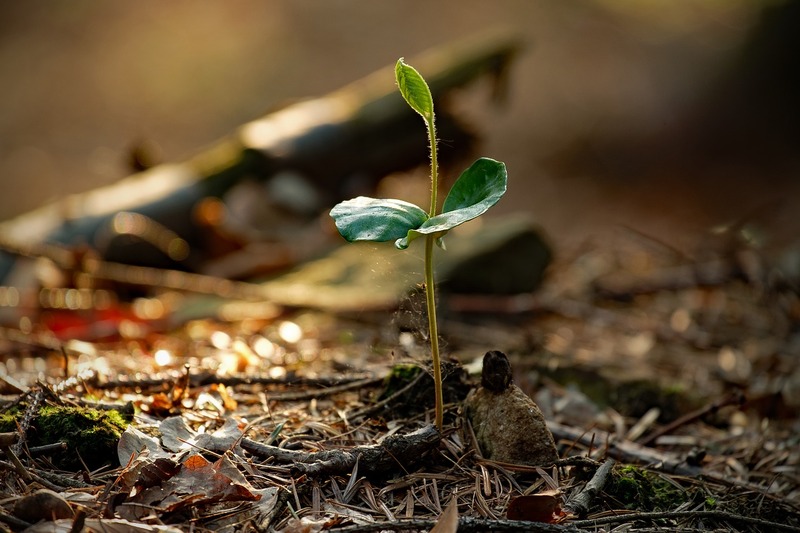 Planting the seeds in smaller clusters give you a great chance at success in the long run. When seeds are crowded they generally either don’t find room to sprout, or they do and things get very busy, very quickly. When planting is complete, use the harvest guide provided with the seed to know when to take those potatoes to the saucepan. When starting your own veggie patch it can be a daunting task that can oftentimes be described as a failure to launch. 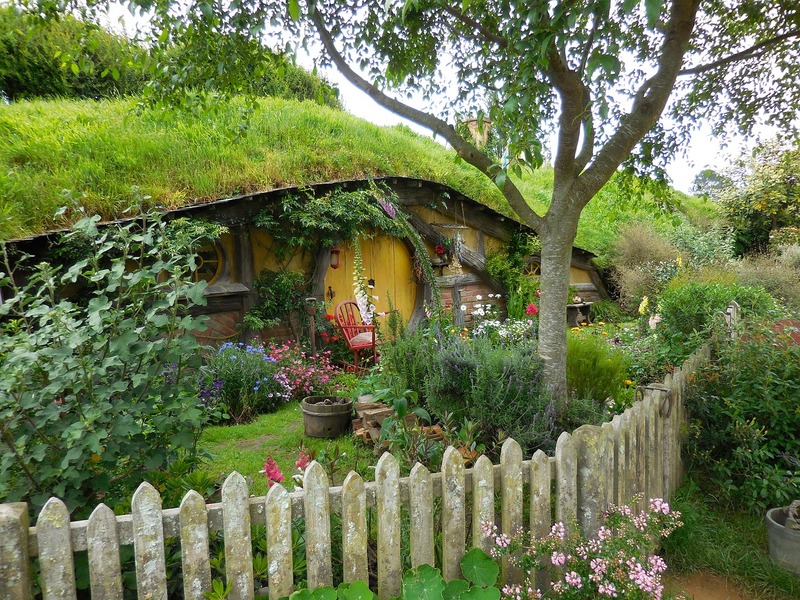 Some people love the idea of a herb or veggie garden but don’t think they have the green thumb necessary. If that sounds like you, instead of hiding away from your own slice of the pie, use this guide to help get you started towards a veggie patch of your own.